We love our Lunchbox Love cards and Valentine's Day is no exception. 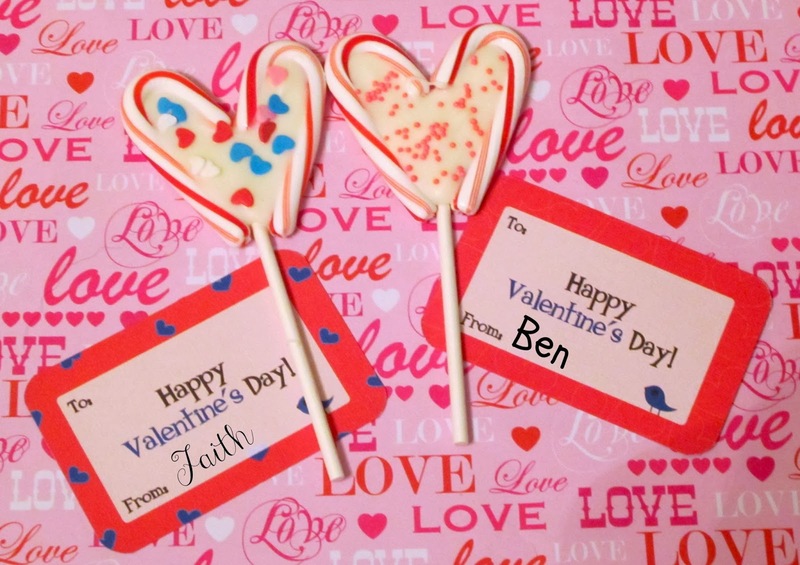 But unlike the typical Lunchbox Love card, these ones are perfect to share with others for Valentine's Day. As a part of the Lunchbox Love Mom Panel, we were excited to receive a few packs to use for our valentines. The kids and I wanted some special Valentine goodies for our friends, so we decided that we wanted to make candy cane lollipops again (we made them a few years ago and they were a huge hit). My friend Laura came to the rescue with a box of candy canes, so the three of us set down to work and made a whole batch. Want to make your own? They are extra easy too! Assemble your ingredients. 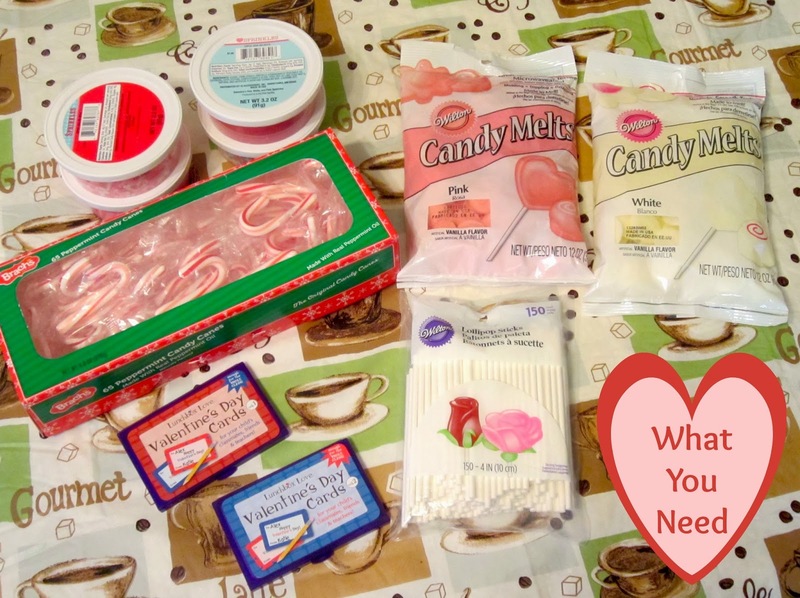 I used mini candy canes, lollipops, pink and white candy melts, assorted sprinkles and my Lunchbox Love Valentine cards. 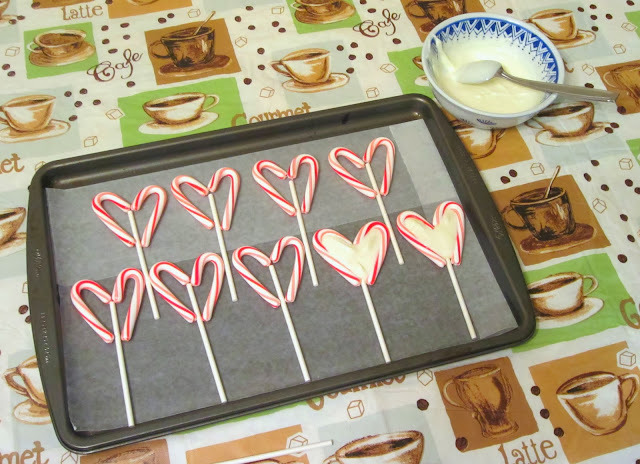 Line a cookie sheet with wax paper (so the candy doesn't stick) and you're ready to go. 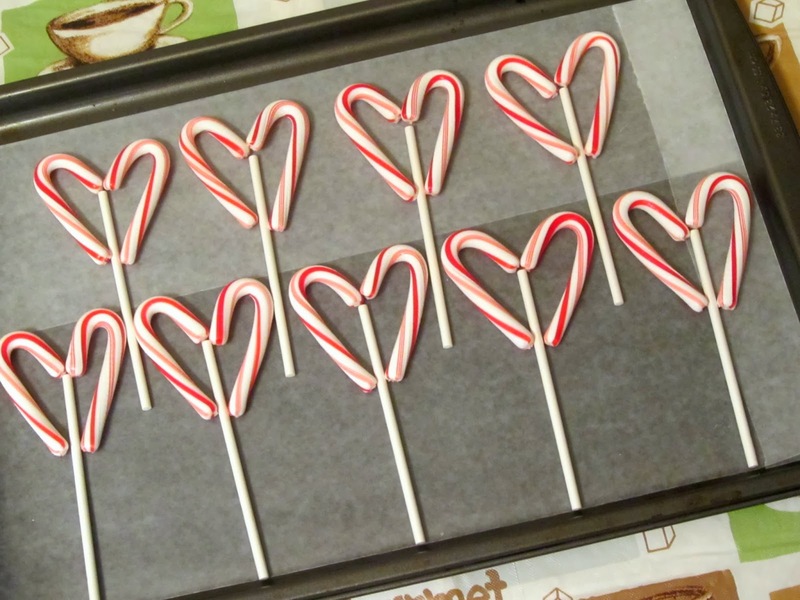 First step, unwrap all your candy canes, or make the kids do it! Pair them up into hears and put a lollipop stick in between them. Make sure you have them on wax paper, it will come in handy later. Melt your candy melts in the microwave slowly. I start with a minute at power level 6 and add on in 30 second increments, stirring in between. 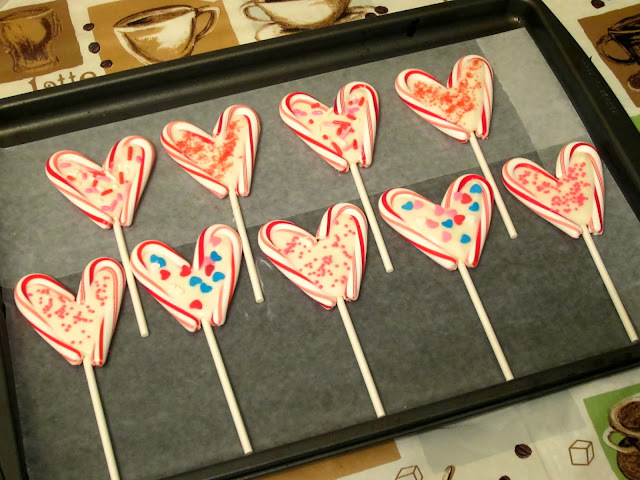 Using a spoon, slowly fill the heart area of each lollipop. While the candy melts are still melted, add some sprinkles to the lollipops. We took tiny pinches of each kind and slowly sprinkled them to cut down on the mess for later. 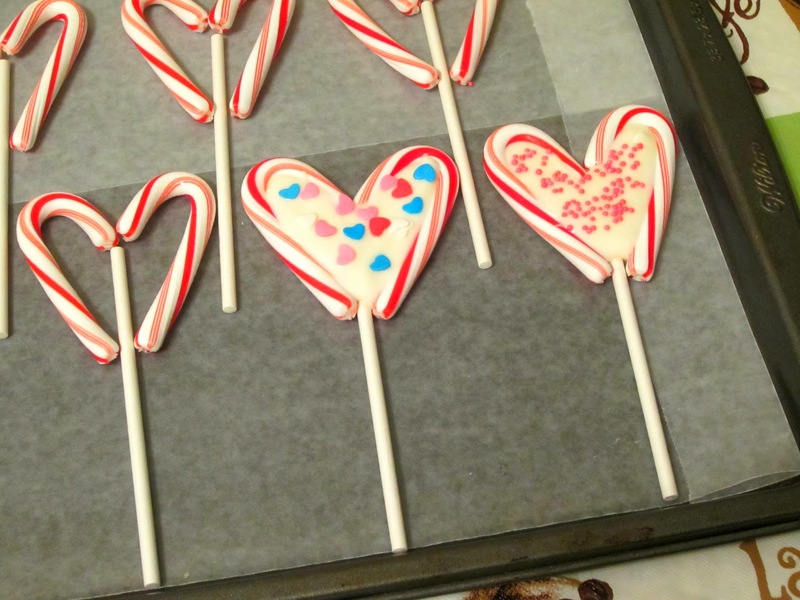 Finish out the rest of your lollipops, then let them cool and set. We ended up making a second tray since I already had the candy melts ready--the second batch has pink centers. Once the lollipops have set, gently peel them off your wax paper, attach your Valentine's Lunchbox Love note, and wrap! We just need to get our list to fill out our cards now. Next up? 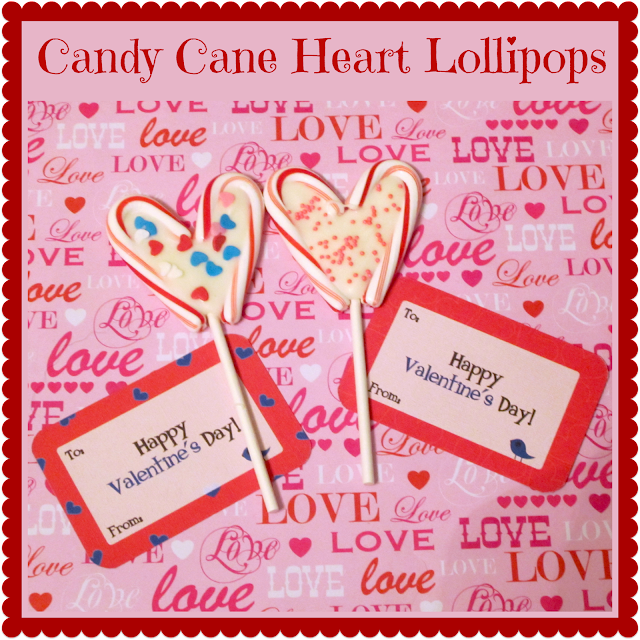 Marshmallow pops, since we have plenty of sprinkles, candy melts and lollipop sticks left.